Aspirin is one of the most widely used, over-the-counter medicines. It comes in handy any time someone complains of pain (mild to moderate), a mild fever or a migraine. Aspirin can also help prevent strokes and heart attacks, if taken in the right dosage. Aspirin has anti-inflammatory, analgesic and antipyretic benefits. It is one of those basic medicines that has a permanent place in your first aid kit or medicine cabinet. But aspirin can be used to deal with many problems beyond the usual ailments that have you reaching for it. 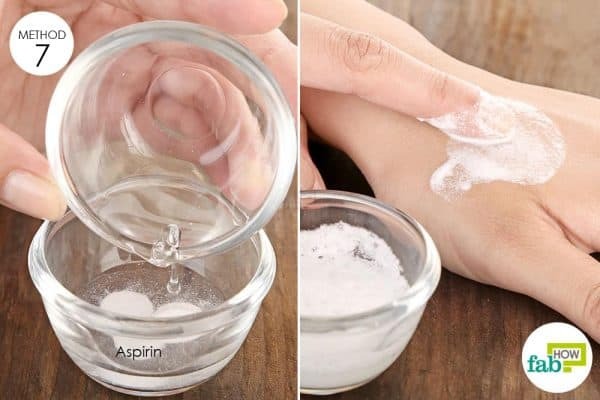 From skin problems to spider bites, here are 13 unusual uses of aspirin, apart from headache relief, that you may not know about. Aspirin is not recommended for people below the age of 16. Women who are pregnant or breastfeeding should consult their doctor before using aspirin. Keloids are smooth, shiny overgrowths of scar tissue that usually form over an injury or a surgical wound. They are most common in dark-skinned people. Aspirin consists of salicylic acid that has strong anti-inflammatory properties and can help break down the extra keratin layer on the skin and reduce the size of keloids. Lemon juice is great for the skin, as it is rich in vitamin C and antioxidants. It will also help lighten keloid scars. This aspirin and lemon juice remedy is most effective on newly formed keloids. 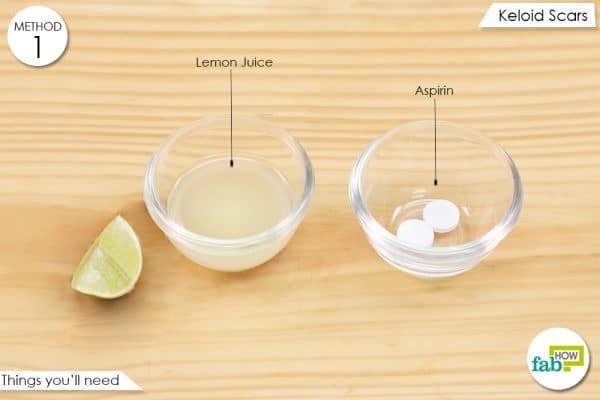 Add 1 tablespoon of lemon juice to 2 or 3 aspirin tablets. Mix until the tablets dissolve. Wash the affected area and apply the paste on it. Let it dry for about 15 minutes before rinsing it off with water. You may use this remedy 2 times a day. Painful canker sores can make mealtime a nightmare! Luckily, there is a simple remedy you can use to get rid of them. It will help relieve the pain and prevent ulcers from festering. This solution is inexpensive and is much less painful than several other natural canker sore treatments. 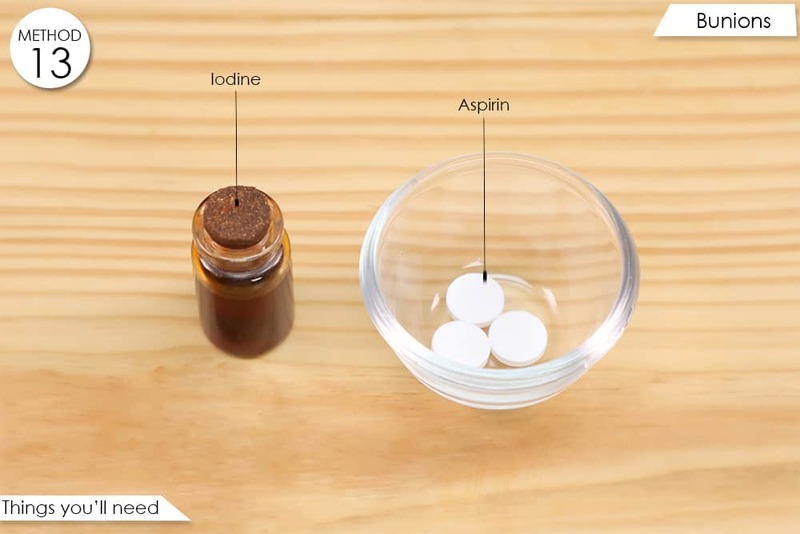 Add enough water to 2 or 3 uncoated aspirin tablets to make a paste. Stir until the tablets completely dissolve. 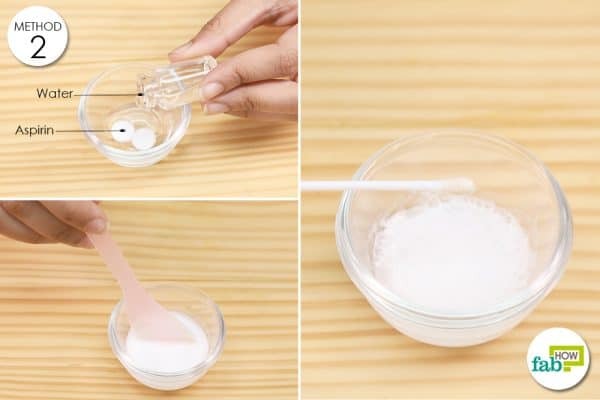 Use a cotton swab to apply the paste on the canker sore. Wait 5 minutes before rinsing it off. Use this remedy 2 times a day. You will begin to see results in 2 to 3 days. This method has no scientific backing, but a number of people claim that aspirin is quite effective in reducing symptoms of restless leg syndrome. Take 2 tablets of aspirin before bedtime as and when required. It takes about 30 minutes for this remedy to work. Aspirin is effective in treating razor burns, as it is a painkiller and has anti-inflammatory properties. The salicylic acid present in aspirin is also a key ingredient in a number of expensive skin care products. This remedy is a much more affordable way to get the same benefits that commercial lotions offer. 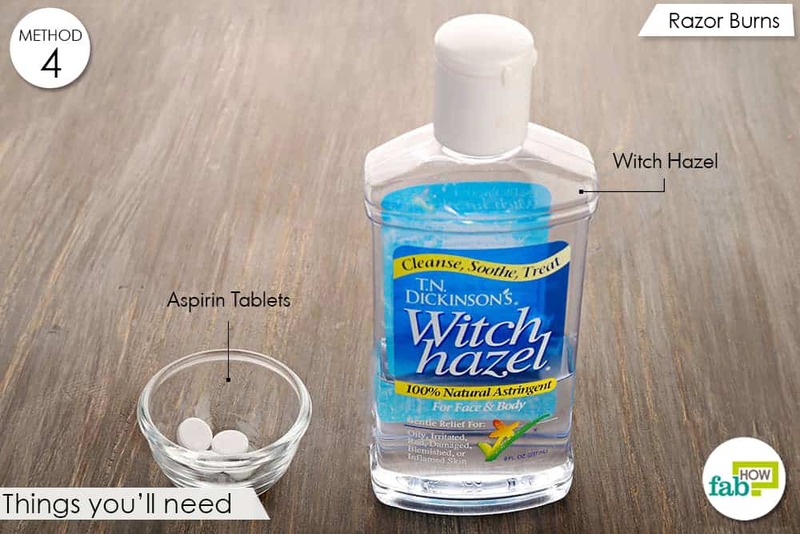 This remedy also uses witch hazel, a natural astringent that also has anti-inflammatory, antiviral and antimicrobial properties. It will help alleviate the pain and burning sensation caused by razor burns. It will also help protect your skin against infection. Pour ½ cup of witch hazel into a spray bottle. Add 4 aspirin tablets to it. 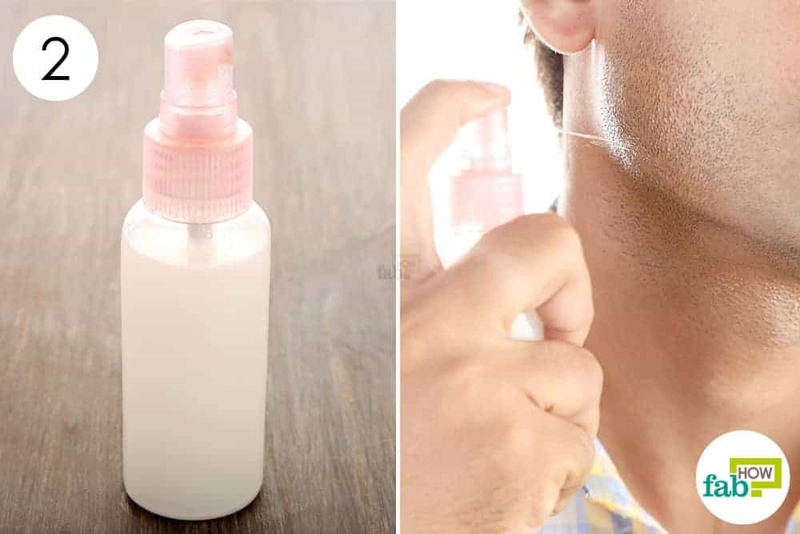 Spray the solution on the affected areas or freshly shaven skin. Use the solution as needed. 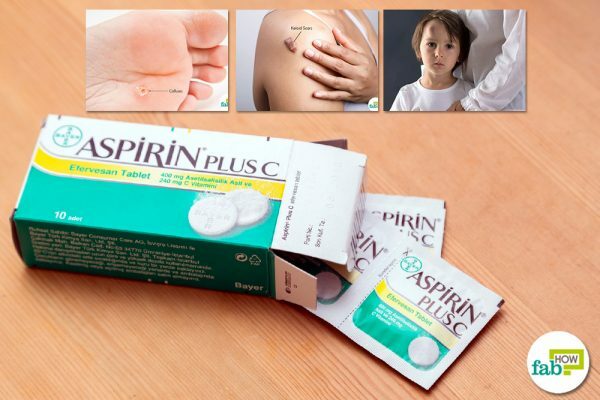 Aspirin can be used to soften the hard skin around a callus. It will also help reduce the discomfort caused by this very common and annoying skin condition. Owing to its mild exfoliant properties, aspirin is also effective in preventing callus formation. It helps by removing dead skin cells from your skin and keeping it soft. Put ½ teaspoon of lemon juice in a mixing bowl. 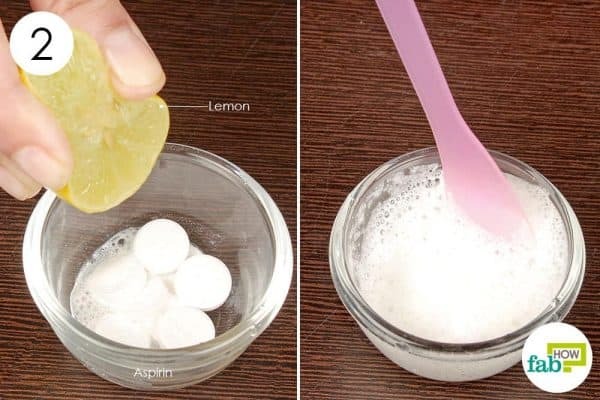 Add 5 aspirin tablets to the lemon juice. Add ½ teaspoon of water as well. Stir the ingredients to make a paste. Apply the paste on the callus. Remove the plastic wrap after 15 minutes. Gently scrub away the callus using a pumice stone. Other than treating fever and pain, this versatile medicine can also provide relief from a yellow jacket sting. It reduces the pain and also helps minimize the swelling. It is effective in neutralizing the venom and begins to work almost instantly. Put 1 or 2 aspirin tablets in a mixing bowl. Add a sufficient amount of water to dissolve the aspirin and form a paste. Apply the aspirin paste on the sting. Repeat the remedy if needed. The anti-inflammatory properties of aspirin play a role in reducing the swelling and itching caused by spider bites. Aspirin also provides quick relief by neutralizing the toxins that the spider left in your skin. 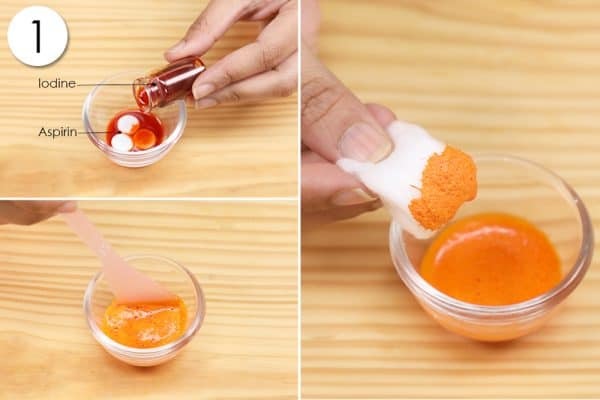 Mix 2 or 3 aspirin tablets and 1 tablespoon of water to form a paste. Let it sit for 3 to 4 hours. A single application of the aspirin paste will noticeably reduce the symptoms. Reapply if needed. The salicylic acid in aspirin will exfoliate your scalp and help you control dandruff. It acts as a cleanser and helps remove the dandruff flakes. Aspirin also reduces scalp inflammation. 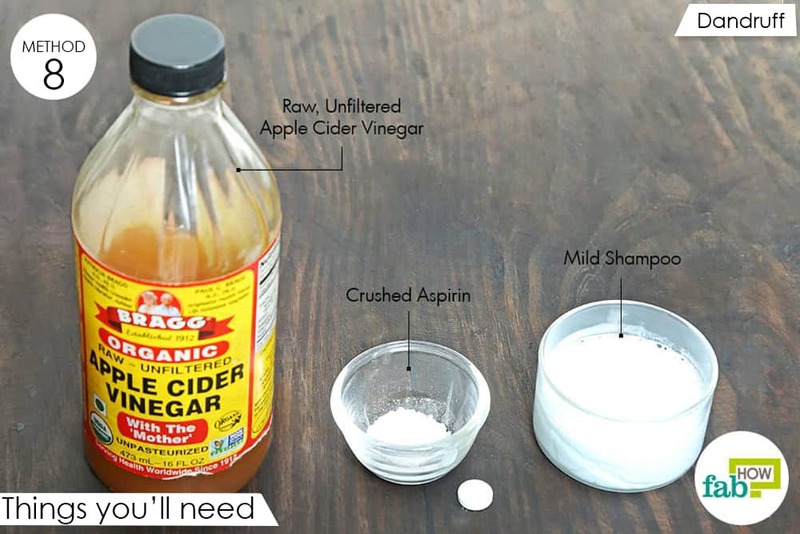 Apple cider vinegar can effectively normalize the pH level of the scalp. It boasts of antimicrobial and antibacterial properties. 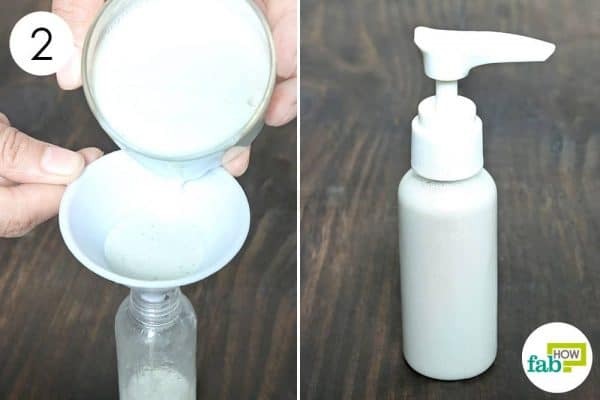 Other than helping you get rid of stubborn dandruff, this ingredient will also add a shine to your hair and promote hair growth. Shampoo will provide a nice cleansing base. Pour 4 tablespoons of a mild shampoo into a mixing bowl. 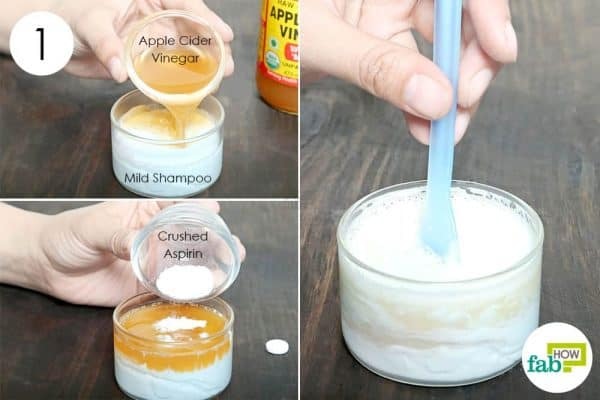 Add 2 tablespoons of apple cider vinegar to the shampoo. Crush 3 aspirin tablets and add it to the mix. Stir to thoroughly mix the ingredients. Transfer the mixture to a 3-4 ounce pump bottle. Apply a sufficient quantity of this mixture to cover all of your scalp. Leave it on for about 5 minutes, then massage your scalp. Wash it out with the mild shampoo, followed by a conditioner. You may use this remedy once every 2 weeks. Aspirin is useful for drying out excess oil in the skin pores as well as removing dead skin cells. It aids in preventing and treating acne breakouts by unclogging the pores, while its anti-inflammatory properties help reduce the appearance of pimples and acne. 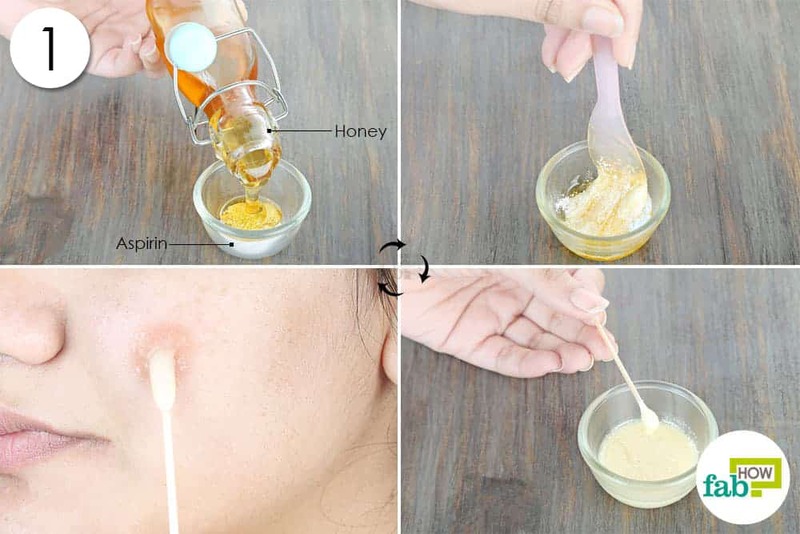 The honey in this remedy comes with antibacterial and anti-inflammatory properties. It also helps keep the skin conditioned and moisturized. 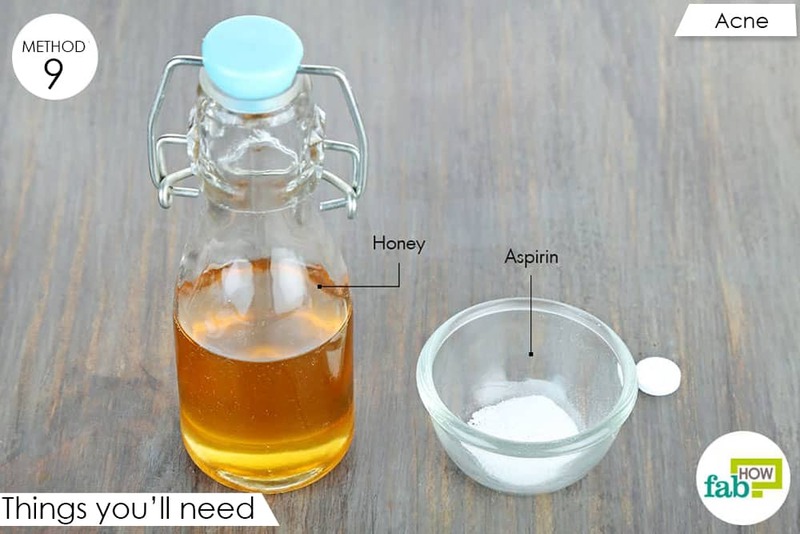 Add 2 teaspoons of honey to 3 crushed aspirin tablets and mix well. 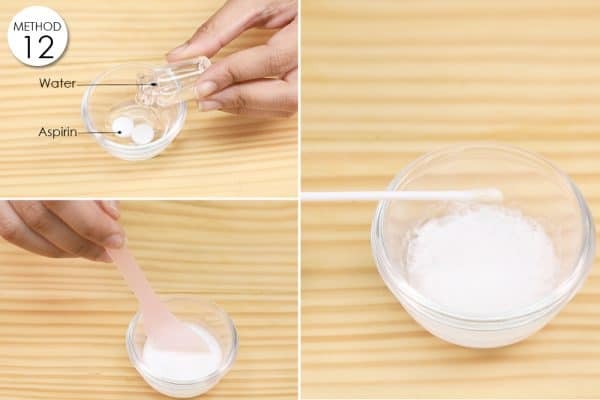 Use a cotton swab to apply the mixture on the affected areas. Wait for 20 to 30 minutes before washing it off. For best results, use this remedy twice a week for at least 2 weeks. The skin of your feet is most susceptible to dead skin cell accumulation. With a little care, you can keep your feet soft and smooth. Another unusual use of Aspirin is that acts as an exfoliant to remove dead skin cells. It also helps by softening hardened skin, including calluses and corns. 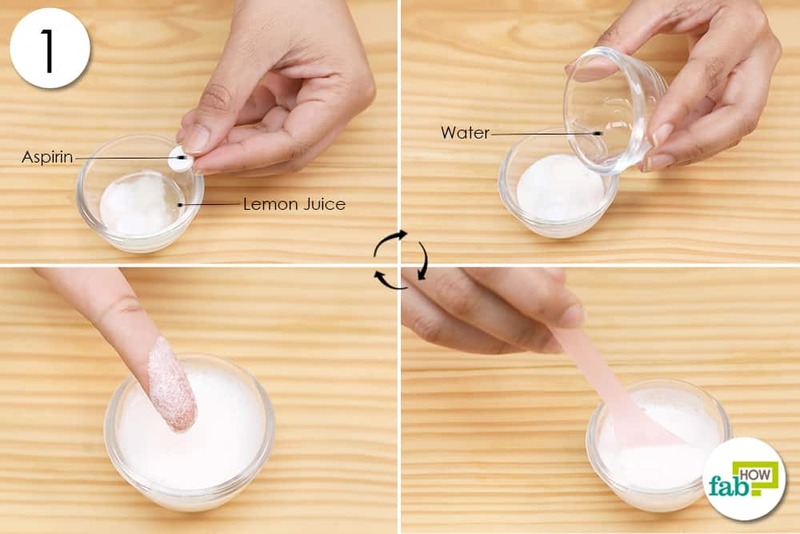 Lemon juice is also useful in removing built-up skin. 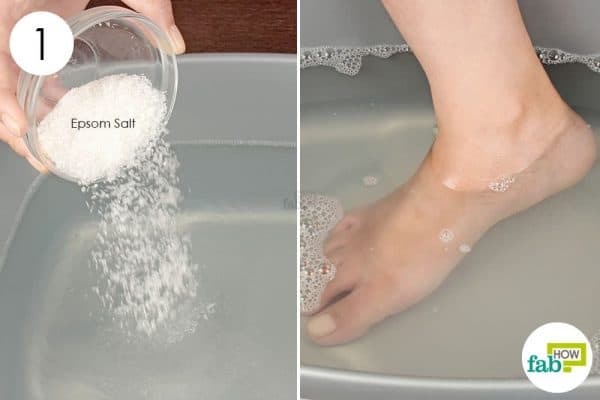 An Epsom salt soak is a pretty famous remedy for treating hardening feet skin. Epsom salt helps by improving the blood circulation in the feet and acts as a detox agent. It will also soften up rough and hard feet skin. Fill a small tub with warm water. Mix in 1 cup of Epsom salt. Soak your feet in the foot bath for about 30 minutes. Put 7 to 10 aspirin tablets in a bowl and add the juice from ½ of a lemon. Stir the ingredients to form a paste. Apply the aspirin-lemon paste on the rough skin. 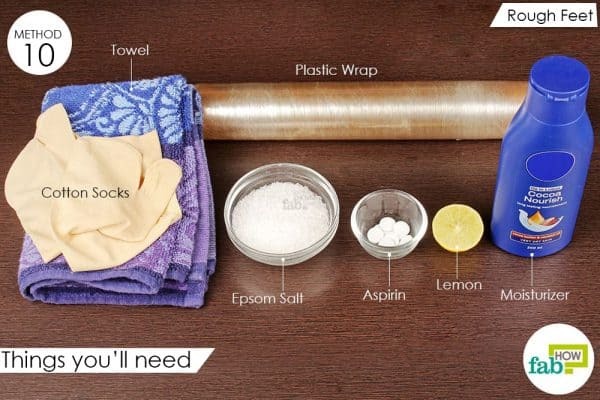 Wrap your feet with plastic wrap for 4 to 5 hours. This will help seal in the paste. Remove the wrap and wash your feet. Use a soft towel to dry your feet. Wear a pair of cotton socks overnight to help seal in the moisture. For best results, use this remedy daily for 1 week. Aspirin can also help extend the life of your freshly cut flowers by a few more days. It works by lowering the water’s pH level, thus increasing the flow of water through the stems. It’ll also keep a check on the growth of bacteria that may thrive in the vase, especially at the bottom of the stems. 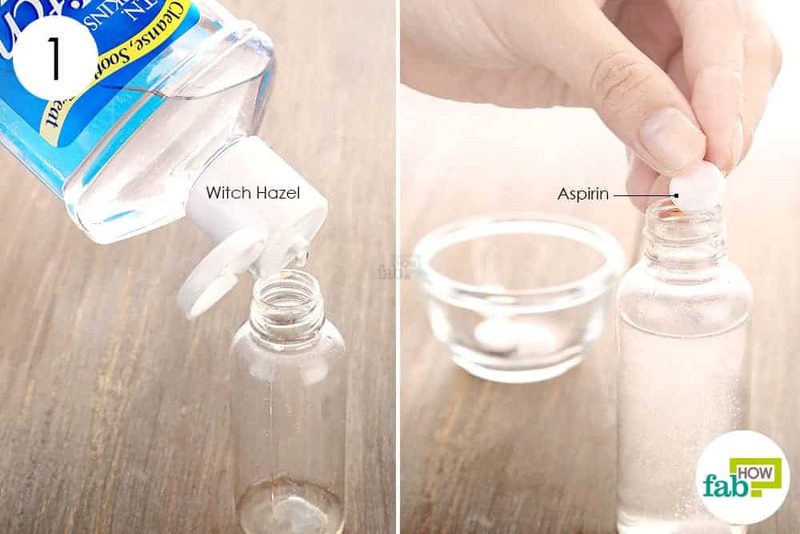 Add 1 aspirin tablet to 2 cups of water. Stir to dissolve the aspirin. 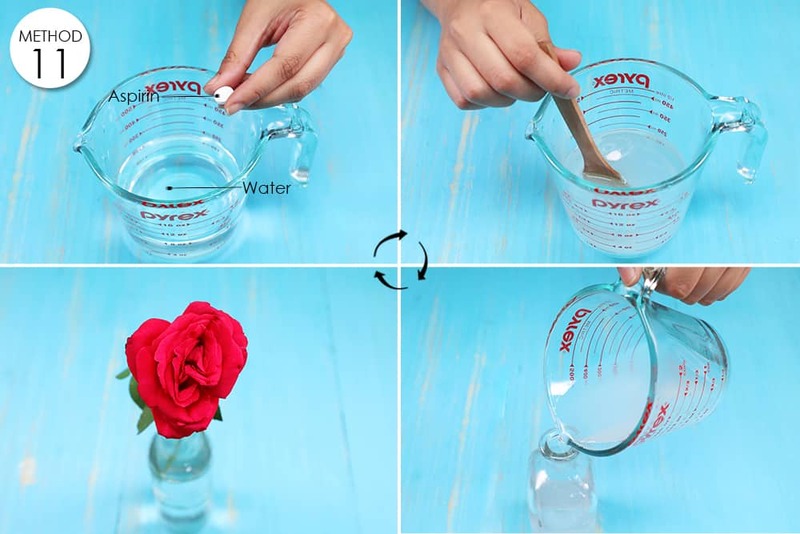 Transfer the aspirin-water solution into a vase. Put the flowers in the vase and enjoy their fresh beauty longer. Aspirin helps alleviate symptoms associated with shoe bites. Its anti-inflammatory properties reduce the inflammation and swelling and provide instant relief from the discomfort. This is an effective and inexpensive remedy for healing shoe bites, blisters, and scars. 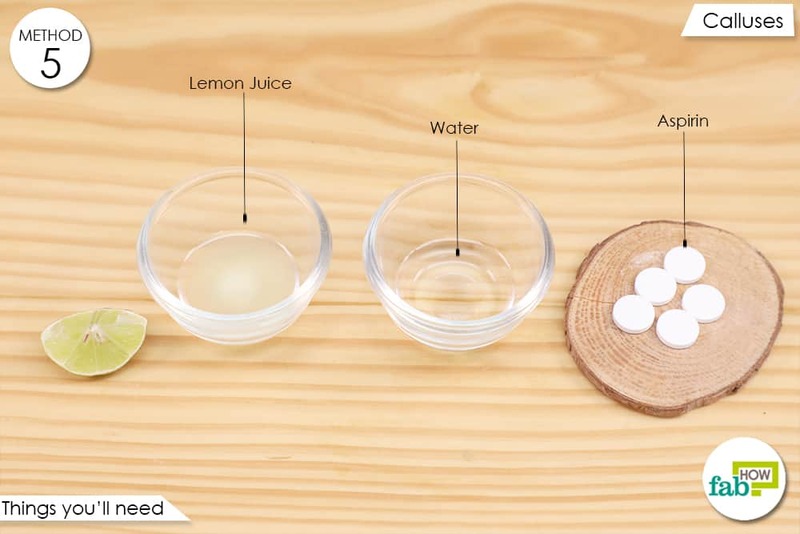 Dissolve 1 or 2 aspirin tablets in enough water to make a paste. Apply this mixture on the shoe bite or blister. Let it sit for a few hours. You can cover it with a bandage so you can go about your day. After a few hours, wash it off with water. Common symptoms of a bunion include inflammation, thick and hardened skin, and calluses. It can also cause pain and discomfort. Aspirin can relieve these symptoms. It helps reduce pain and inflammation and soften the skin to prevent or eliminate calluses and corns. Put 2 or 3 aspirin tablets in a bowl. Add 1 tablespoon of iodine to the tablets and mix well. 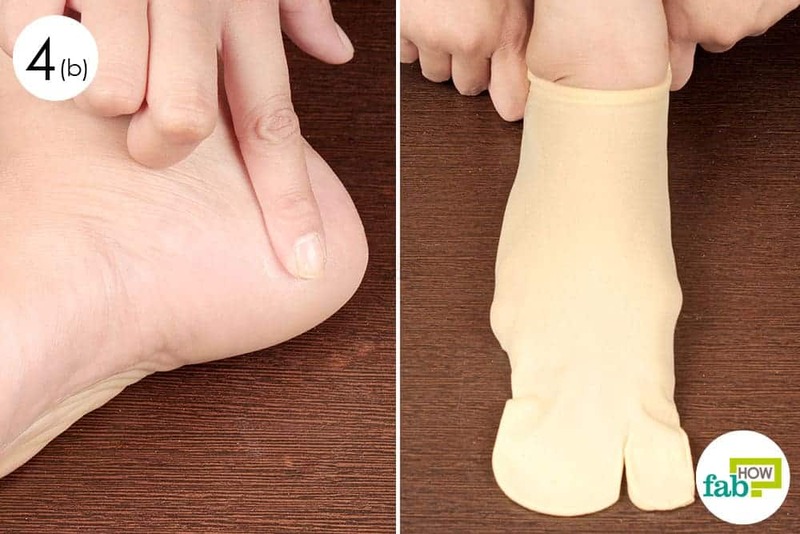 Apply the paste on the bunion. Cover it with a bandage and leave it for a few hours. Use this remedy daily until you get the desired results. The maximum dosage of aspirin suitable for oral use is 4 grams per day. Avoid taking aspirin over longer duration of time. 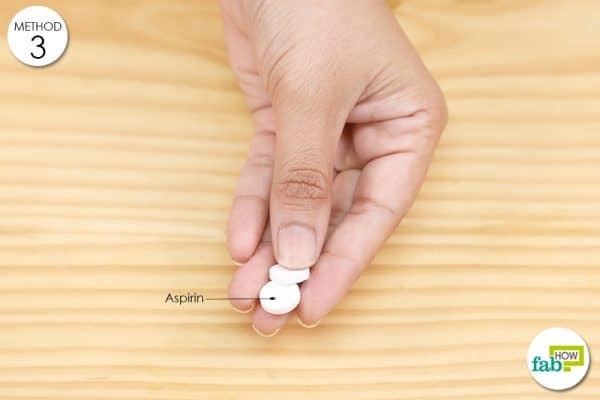 If you are taking aspirin for self-treatment, then follow all directions on the package of the product. Drink a full glass of water with aspirin, unless your doctor tells otherwise. 6 Things Millennials are Tired of Hearing!